I sat down with a senior executive a number of years back to brainstorm opportunities for his division – and to compare notes on the gaps between strategy and true execution. Keep in mind we were talking here about a sales division – but the transferability to other disciplines and business segments was obvious. Translation – we are lost. I work today as an executive coach, consultant, and trainer – and though I can happily accept a fee for a company that laments their lack of first line coaching prowess it would be disingenuous to suggest to my client that any “off the shelf” solution is going to fix what is often a systemic problem. First line leaders don’t simply choose not to coach. No, there is usually a combination of factors at play…and they can destroy a company culture. Skills – what’s the number one reason people fail in their jobs at all levels? They don’t know what it is they are supposed to do. Ask 10 line leaders to describe their basic job responsibilities – and get ready for answers that will cover the gamut. No specificity around what’s most important – confusion takes its place. Structure– again, many companies default to HR or Leadership Development for “fixes” – but if the structure doesn’t align with the programs – wasted investment. Values and Philosophies – want to find the absolutely best company out there as regards people development? Look at the senior leader(s) – and watch how they make the focus on human capital their mandate for all. The latter track time in market, number of recaps sent, days-in-the- field – any indices that reflects effort. The former look at the quality of the feedback and the results attained. Translation – effort be damned. It’s outputs that pay the bills. Rewards and recognition – to include helping employees find purpose and meaning in their work. We do those things we receive gratification for and whether that is extrinsic or intrinsic it remains immutable. The opposite is equally true – if there is no positive consequence to doing what’s right there is a good chance I will stop doing it. The conversation above happened a long time ago – but I’ve relived it a few times and, truth be told, have been guilty of the same blanket assessment when execution dropped– far too easy to point fingers than to assume accountability myself. The problem is with them, not me – right? Great coaches don’t just fall out of the sky – and they aren’t found in organizations that don’t identify, nourish, and grow them. Leadership development – for all of its many advantages – is not the ultimate “fix” though a lot of consultants might contend that is the case. 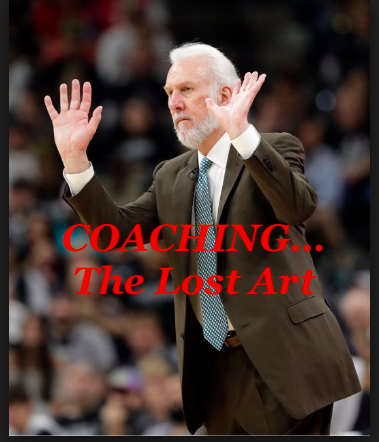 We can offer the greatest training program in the world but if the organization doesn’t embrace and follow up on it the value is lost in the first 18 months. Acknowledge and reward execution– but with a premium placed on more than activity. Remember, great organizations balance execution WITH outputs/results. Our goal is not to show we have built a better mousetrap – it’s to capture more rodents than before. Tomorrow – somewhere – a company will invest thousands (if not millions) of dollars in the latest coaching approach. Five years from now they will invest even more in the one that replaced it. Somewhere a senior executive will lament why his or her first line leaders can’t coach. Look, I’m a consultant. It’s easy to check a box for you, collect a check, and move on. But I’ve learned that adding value isn’t always consistent with rolling out another program. In fact I would submit we could roll out mediocre content BUT if we align around the 8 points above even an average initiative can produce spectacular results.